Actor Wesley Snipes can now begin the process of putting his acting career back together… A “Blade” sequel? Actor Wesley Snipes has been released from a federal prison where he was serving a three-year sentence after being convicted on tax charges in February 2010.The release to a supervised residential location in New York occurred Tuesday, the Federal Bureau of Prisons told CNN. Snipes, 50, who starred in the “Blade” action movies and “White Men Can’t Jump,” had been serving time at a federal prison in Pennsylvania. A jury convicted him of willfully failing to file tax returns for 1999, 2000 and 2001. Snipes was acquitted of felony tax fraud and conspiracy charges. In June 2011, the U.S. Supreme Court refused to hear an appeal of his sentence, which he had argued was too harsh for a misdemeanor conviction. 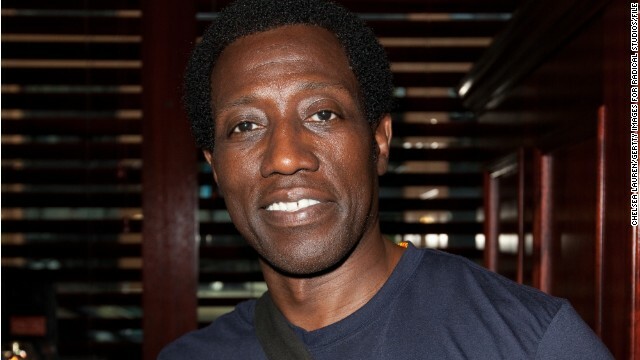 Wesley Snipes can’t seem to get anything right when it comes to his personal finances. The notorious star of the hit “Blade” trilogy found a new kind of fame last year when he was sentenced to three years in jail for trying to fraudulently obtain $11.4 million of tax refunds between 1999 and 2001. He was also nabbed for willfully failing to file tax returns. And now a court case in Britain has revealed that Snipes may have lost millions of dollars during that same period in an alleged Ponzi scheme.